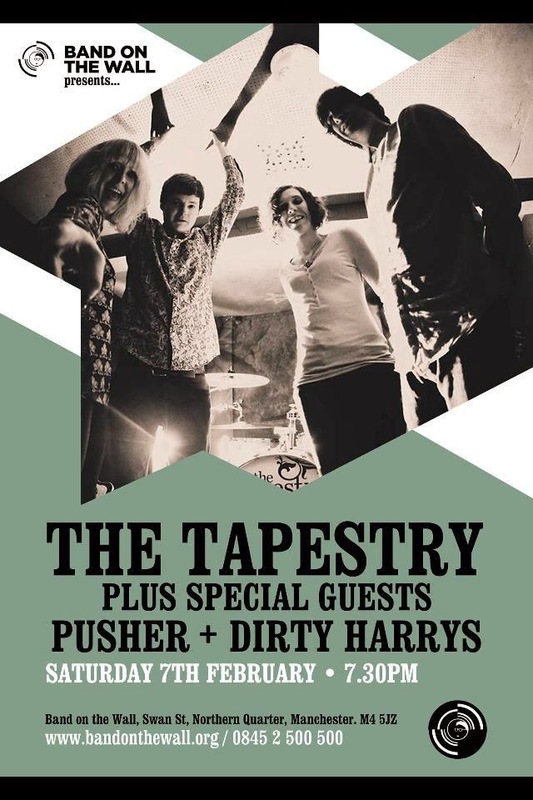 The Tapestry were one of our top tips for 2015. This Saturday they play their biggest headline date so far at Band On The Wall in Manchester for the launch of their killer new double A-side single Infatuation / Look Out. We had a chat with front man Liam Faherty about the single, the fabulous video to Infatuation and their plans for the show and the rest of 2015. The new single is Infatuation, the video is interesting, a woman stalking a man. How did you come up with the idea for the video? We didn't want a performance video again, and some interesting story for a change. We put out on Facebook if anyone knew any creative video makers and through a promoter we played for in London they put us through to the people at Killavista. These are based in Norway and London. They sorted everything from there and we're super pleased with the result. The man being the victim twist we loved and let them run with whatever they wanted to! The single is coming out on 7" vinyl, the first time you've released on that format - why did you choose to release on that format this time? We've wanted to get something on vinyl for a while however Right as Rain was just released on iTunes as a stand alone song, sort of as a re-introduction to the band. The plan was always get that out, gather some momentum again and then push a double a side vinyl as the next release. We just need it to sell now to pay off the hefty credit card bill! Vinyl is back in a big way, sales last year reflect that, young people are collecting vinyl again and so the demand is there. It's something I'll always treasure too. The artwork is all Katy's designs and as a package it's something we're all extremely proud of. You're playing your biggest headline gig to date at Band On The Wall on Saturday. What can we expect from the set? We've got a top young band from London, Dirty Harrys, playing and also one of our favourite new bands Pusher opening who I'm frightened will blow the roof off before we even play a note! We've got our friend Fergal who runs the night 'Let's make this Precious' Djing too. As for our set we've got some new material to try out and hope it will be crazier than last time we played there which is one of my favourite ever gigs. It will just be a top party hopefully. Your last single Right As Rain was your first output for a while and was a significant step-up from the first two singles and Infatuation and Look Out have continued that. What do you think has contributed to that? After we released 'Take Turns' we had a change of two drummers. That, looking back, lost us a lot of momentum, and was draining going over and teaching the set. Although both previous drummers were super talented it just didn't work as I wanted to. Once Zara came in everything clicked again and I fell in love again with playing music and writing, which I think is something we're getting stronger at all the time. Added to that I think we've developed as musicians and as unit too. Dyna's the best guitarist for me out there and Katy and Zara are untouchable as a rhythm section. I know what direction I want to go in and even though the earlier tunes I hold a special place for, the new songs are more confident and self assured. Two years ago when we spoke, you already had fifteen or so songs, I assume you've got even more to pick from now. Well some of the older stuff drops off the radar, we want to strive to make each new song better than the last. We've definitely got an albums worth, couple of acoustic tracks too. But I know we've got better in us to come. What's next after this show and the single? Having played at the Whisky Sessions and with a lot of good press around this single, it feels like something's building. We've got dates booked in for a busy couple of months, London, Middlesborough, Leeds, Woking. Booked to play Blackthorn Festival again which was brilliant last year. Hopefully more festivals to follow too. Things seem to be building up nicely, Whisky sessions was great to win. Especially against such talent as Jordan Allen, The Gramotones and Death to the Strange. We've recorded Tear Up (Beating Heart) for free as a result of that victory! To say we've done so much DIY without a manager, I can't think of anything more we can possibly do now to be heard on a bigger level. Think everything is in place we just need a lucky break. But the industry is in a bad place at the moment. However we love playing and creating music, meeting people, making new friends, having a laugh. If that's all this holds then I'm happy with that and what we have achieved already so there's nothing to lose from here! The Tapestry have two Facebook pages - here and here and are on Twitter. They are also on Soundcloud. The single is available now on iTunes and Amazon. 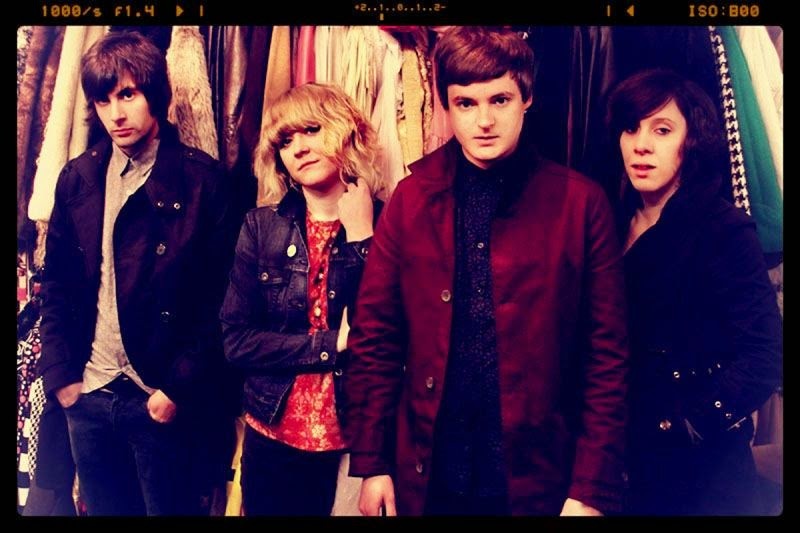 They play a single launch at Manchester's Band On The Wall on February 7. Tickets are available here. Other dates include Stoke Old Brown Jug (Feb 13), Middlesbrough Princess Alice (Mar 6), Blackpool Under Bar (Mar 7), London Jazz Cafe (Mar 12), Leeds Oporto (Apr 2), Woking Bisley Pavilion (Apr 18), Manchester City Etihad (May 24) and Blackthorn Festival (July 25).